The voice of Tesla CEO Elon Musk wavered on Tuesday afternoon onstage during the company’s shareholder’s meeting as he described “the most excruciating, hellish few months I think I’ve ever had.” He was referring to Tesla’s struggles to scale up production of the Model 3, a lower-cost, more mainstream electric car that will be make-or-break for Tesla. Yet amidst the consternation over Model 3 manufacturing, Musk pointed to a bright spot for the 15-year-old company that makes and sells electric cars, batteries and solar panels: stationary energy storage installations. 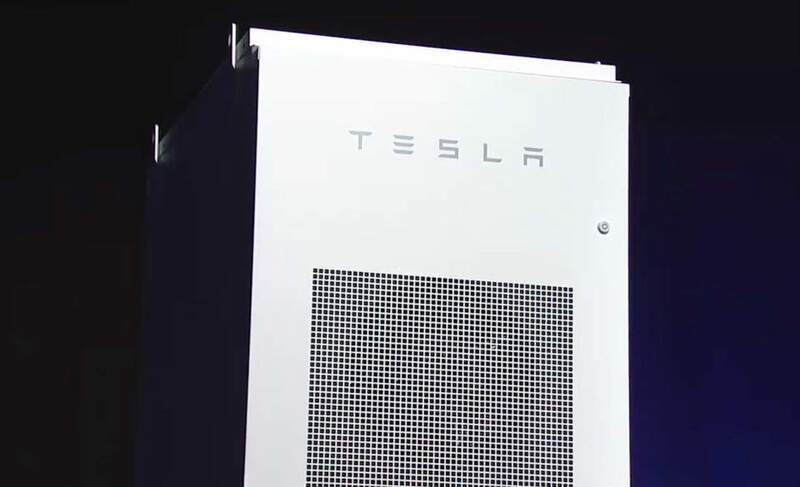 Tesla sells batteries that are packaged up and wrapped with software and cooling systems that can be plugged into the power grid, paired with solar and wind farms, and used to store energy for buildings and homes. During Tesla’s shareholder meeting held in Mountain View, California, Musk said that Tesla has just reached the milestone of deploying 1 gigawatt-hour (GWh) worth of energy storage. It’s a big deal for Musk’s company, and it represents a little less than half of all of the stationary energy storage deployed globally last year (a total of 2.3 GWh), according to GTM Research. The rate of stationary storage is going to grow exponentially. For many years to come, each incremental year will be about as much as all of the preceding years. Musk also said that Tesla expects to deploy another GWh worth of energy storage in less than a year from now: “The rate of stationary storage is going to grow exponentially. For many years to come each incremental year will be about as much as all of the preceding years, which is a crazy, crazy growth rate,” Musk said. Tesla’s milestone, and the predicted rapid growth of its energy storage division, highlights just how much the emergence of low-cost lithium-ion batteries are changing the way that energy is produced and stored. Tesla’s aim to operate as a full-fledged energy company, and not just an automaker, is finally starting to become a reality. Tesla’s auto business still dominates its revenue, and its massive capital spending is also focused on its cars. Its energy storage business, however, is starting to scale. In its first-quarter earnings report, Tesla reported that its energy storage deployments grew 161 percent from the previous quarter to 373 megawatt-hours (1,000 MWh = 1 GWh). The Q1 2018 energy storage figures included 129 MWh of potential output from a huge project in South Australia that was installed in 2017 and that was just counted. The South Australian project — dubbed the world’s biggest lithium-ion battery — has a capacity of 100 MW and can quickly inject electricity into the South Australian power grid when it’s needed. The region suffered from significant blackouts in 2016. Musk — a brilliant media-manipulating salesperson — bet South Australian policymakers on Twitter last year that he could build them a system that could solve their problems in 100 days or less or it’d be free. Tesla completed the system on time, and now the installation appears to be working well for the region. If the South Australian project is an indicator, utility deals could dominate Tesla’s energy storage division. And that’s a good thing for the company. Utility projects are big, bring in sizable revenue, and are often built in remote or industrial regions. In contrast, selling battery packs to homeowners to use with solar panels is a much smaller sale, one that is more likely to carry a much smaller margin. That said, Tesla’s energy storage division is still in a relatively early stage. According to the company’s past few earnings reports, the energy division, which includes energy storage and energy generation (its solar products), appears to be a pretty low-margin business at the moment. That’s expected to change as Tesla scales it up. Tesla’s auto sales ($2.8 billion for Q1 2018) will continue to dwarf the energy division ($410 million for Q1 2018) for quite some time. But Tesla’s energy storage boom stands in contrast to the results for its solar division, which continues to be an issue for the company. Tesla acquired sister company SolarCity in 2016 and soon started revamping the solar firm’s business model and products. Many SolarCity employees, including founders Lyndon and Peter Rive (Musk’s cousins), have since departed. Meanwhile, Tesla has reported shrinking solar installations every quarter as it has scaled back the solar investment. If Tesla’s car sales fail to meet expectations over the next few years — which could happen for a variety of reasons like production issues and technical issues — energy storage could be the company’s (only) saving grace. It’s not likely to be solar installations. Tesla’s Gigafactory outside of Reno, Nevada, makes batteries that can be used for its cars or for stationary storage appications. The factory could be configured to make more batteries for energy storage and less for automotive uses. Musk has long said that the energy storage division is held back by production capacity, not demand — although he says the same thing for Tesla’s cars. In general, market demand for energy storage is set to explode over the next few years. Bloomberg New Energy Finance (BNEF) found that by the end of 2017, a cumulative 7.4 GWh of battery storage projects were installed around the world. That amount is predicted to grow to 12.1 GWh by this year and to 17.5 GWh by 2019, BNEF projects. In the United States alone, the numbers are big, too. On Wednesday morning, GTM Research released a new report that found that 126 MWh of energy storage was installed in the first quarter of this year in the United States. That figure was up 26 percent over the fourth quarter of 2017, though was down from the same quarter last year due to the big battery projects that came online last year to help with the Aliso Canyon issues in Southern California. This overall growth is due to a few major factors. The price of lithium-ion batteries has dropped dramatically in recent years. Musk said Tuesday that Tesla can produce batteries at the cell level for $100 a kilowatt-hour and will soon be able to produce them at $100/kWh at the battery pack level (the pack level includes all the other battery system components, as well, not just the individual battery cell). That’s a huge achievement. Low-cost lithium-ion batteries are starting to fundamentally change the way that companies produce and store energy and even the way businesses operate. 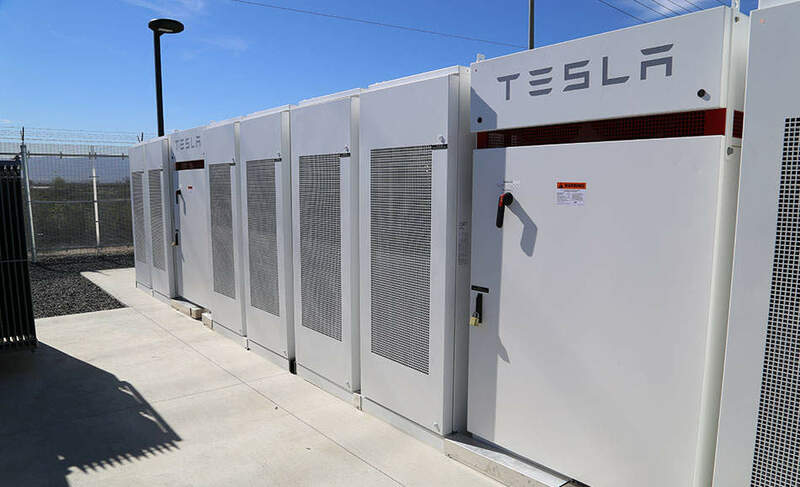 In addition to utility-scale storage projects like the one Tesla built in South Australia, batteries are being used in buildings to help companies reduce their monthly energy costs. They’re also being used to make solar and wind more competitive, storing the clean energy overnight or when the wind dies down. The changing climate is even contributing to the growth in the use of energy storage. Islands like Hawaii and Puerto Rico are increasingly interested in using batteries to add resilience to their regions and grids in the face of record storms and to lower the use of oil and diesel fuel. Tesla has a massive opportunity to take advantage of these energy storage trends. And in the midst of one of the riskiest times in Tesla’s history, the energy storage division could end up proving to be a crucial asset.